I've done it again. I have CASE'd this lovely card and can't remember where I found it. I used the Heartfelt Blooms SAB stamp set along with the Sweet & Sassy Framelits. 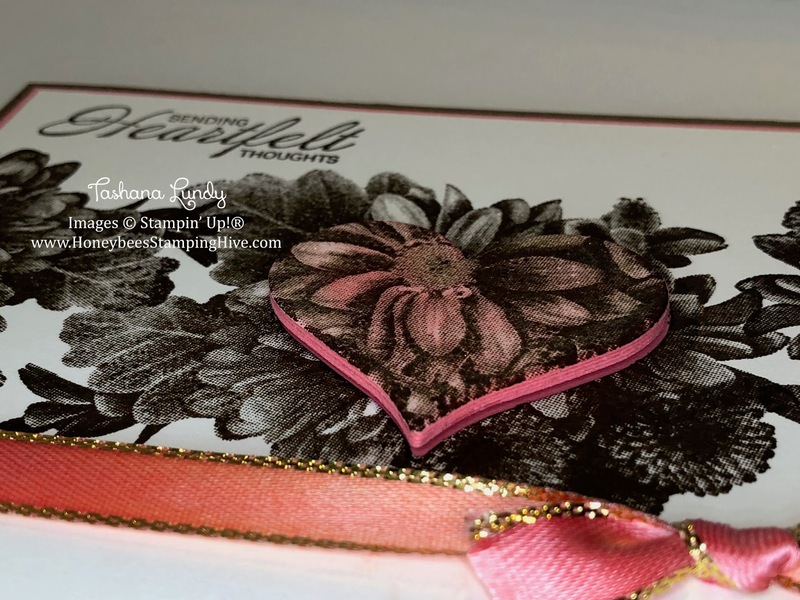 I colored the ribbon using the Calypso Coral Stampin' Blend. I'm not sure if this card would be considered Eclipse or Spotlighting. It's a mixture of both. I cut out several layers of cardstock to adhere under the heart shaped image. I sponged it with a little color and added some Wink of Stella.